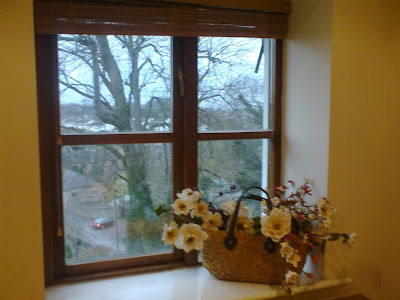 Though he lovingly told me not to worry and that he could "take care of it" when he returned, I heard the underlying challenge loud and clear. As his car turned out of the driveway, I sipped the last of my morning coffee and walked over to the first box. At this point I will admit I was far to cocky. I had the rest of my day planned out - Build Desk and Filing Cabinet, vacuum room, move Chris' work items into new "office space" in spare bedroom, clear extra "stuff" from downstairs office nook, (All A.M. work....) then Walk Dog, Finish more job applications etc etc etc..... and what did I accomplish? A.M. Assemble half of desk. 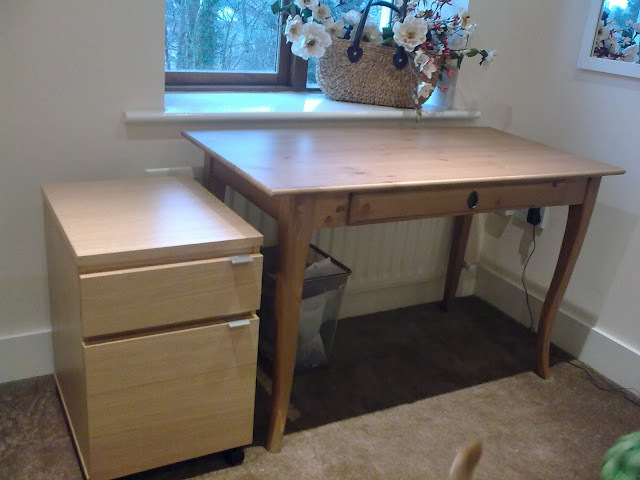 P.M. finish desk.... only not really because the ONE drawer that goes into the desk doesn't slide in or out. I hope to finish "moving" my husband's home workspace from the open-plan living room -kitchen- dining room- computer nook by the time he's home tomorrow. Roll Out pastry on floured surface, line 23cm tart tin. Prick pastry with fork and ensure there is an over-hang (pastry shrinks in oven!). Place 20cm cake tin over pastry, filled with baking beans or dry rice/coffee beans - anything that adds weight. Bake in oven for 20-25 mins. 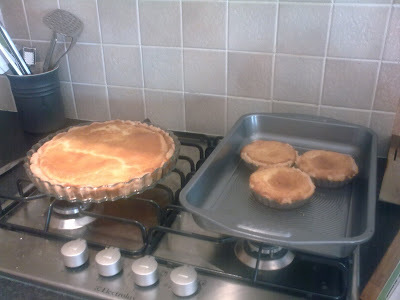 Remove cake tin with weighted objects and then bake pastry for another 10-15 mins. 2) Lower oven to 180 oC. Beat together filling ingredients... spoon into the pastry shell. Cut pears into quarters length-ways. Arrange with skinny necks of pears facing the centre of the tart. 3) Scatter caster sugar and a few extra almond flakes over the top and bake for a further 40 mins. Allow tart to cool and then serve with creme fraiche or vanilla bean ice-cream... YUM! Peaches were not in season (not that pears necessarily were either but they are more trusty year-round in Ireland) and the magazine was from months ago. 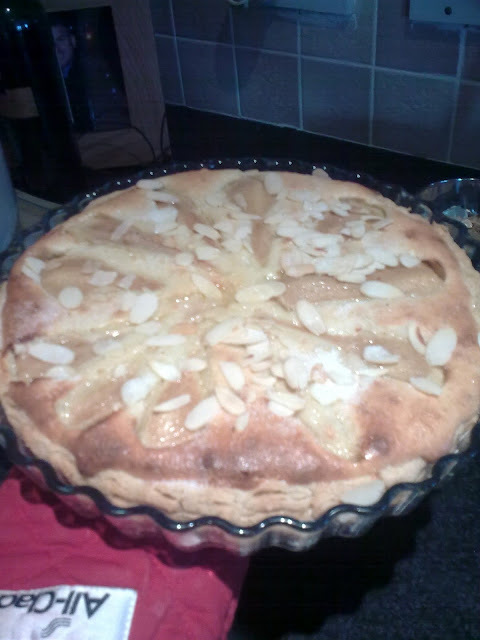 I had the divine experience of tasting a real pear and almond tart in the south of France years ago and have since tried to find the perfect recipe to recreate it... and this is pretty close!! Eat your heart out Julia Child! It was a complete hit. Our guests loved it and it has jumped to the top of my favourite looks-fancy-but-is-pretty-simple desert list! Chris and I spent 3 hours in Ikea this weekend. 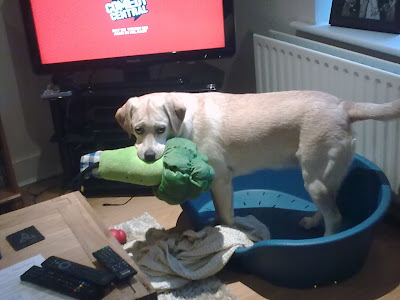 Of all the bits and piece we collected to "organise" our lives, Chris was most excited about the stuffed broccoli. We stood for a significant period of time at the toy bins in the kids section. 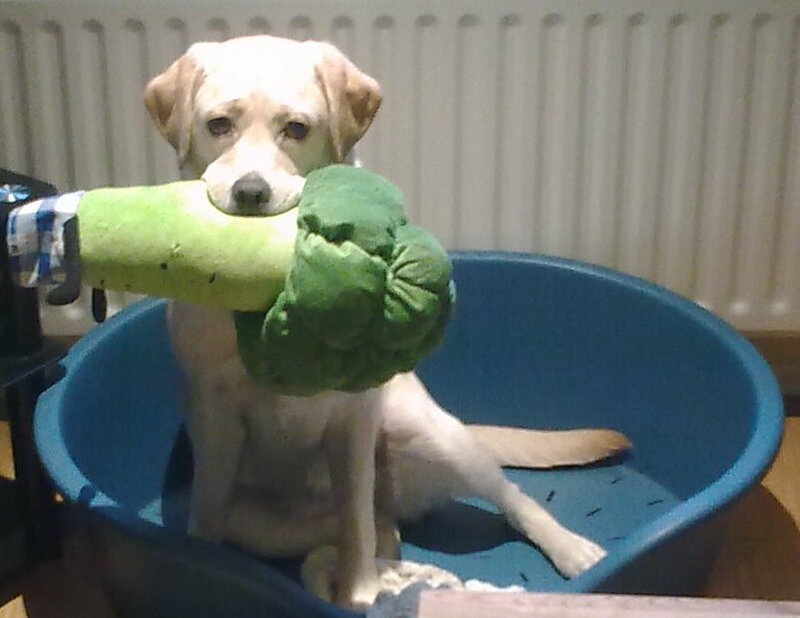 We are NOT trying to tell you something, but we do have a dog. On our last trip to Ikea a month ago, we brought Jozy back a small stuffed kangaroo. It was 1/5th of the price of a dog toy and it has lasted as long... success. So, this time, we were debating which creature to bring back next. We decided first of all to upgrade to the larger stuffed toys. Initially we were drawn to the large stuffed Labrador, wondering how she would react to an almost-life-sized toy just like her.... and then Chris spotted the stuffed vegetables. I realise childrens' games and toys are not what they used to be, and Ikea is known for being quirky, but really? 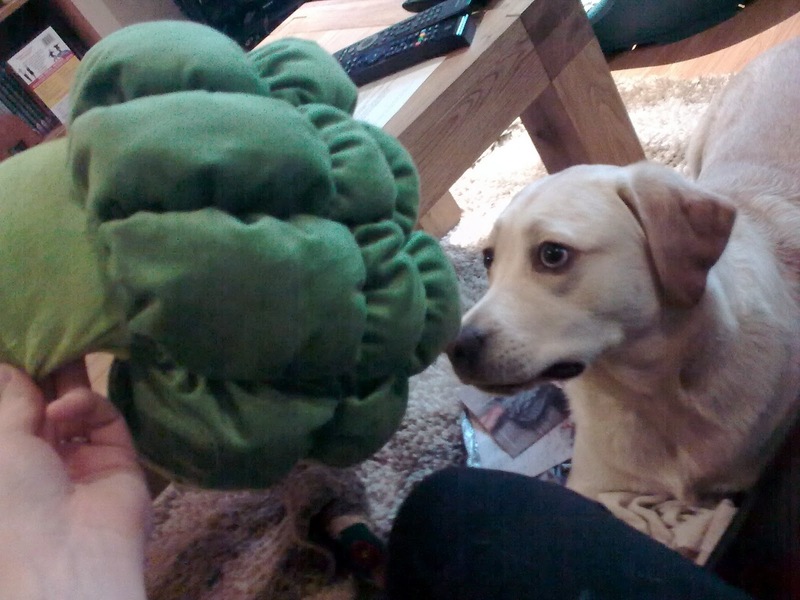 Large fluffy tomatoes, carrotes and broccoli the size of a small child? 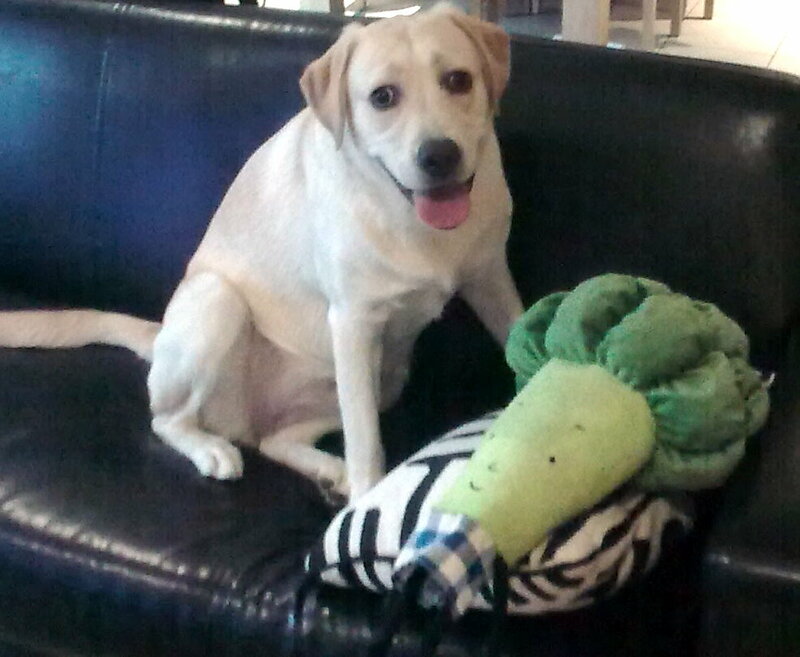 I love that the Broccoli and the dog are smiling in this photo.... an affair to remember! 1) Mix sugar, eggs, buttermilk, butter, flour and vanilla. 2) Pour mixture into shortcrust pie shell. 3) Bake at 300 F for 1 hr. I make this in a tart/ flan dish but as you can see, there is then extra mixture for at least 3 small pies! You will not need to bake these for the full hour, approximately 40 mins. If you're a deep pie lover, use a regular pie dish and the mixture fills it and bakes perfectly in 1 hour. Hope this finds you all having a lovely Tuesday! I love that broccoli! SO fun! I also can't wait to tell Jody's mom that she is forever immortalized on the internet. yes do! Her buttermilk pie is always a hit.. what a great recipe! Sometimes I catch him sitting on top of buttermilk pies, but I always tell him to get off because it's a dangerous place for his kind.